Venice, Venice, Venice...Couldn't find a better timing to talk about this beautiful city considering that Mr & Mrs Clooney celebrated their nuptials there so recently! Venezia is one of the most romantic and charming places in the world, and perfect for a weekend getaway. My boyfriend and I decided to spend our last days of holidays there and the place does not deceive. 1. The Grand Canal. There are two options for you to do it: by foot or by boat. Doing it by foot might seem very time consuming but I can tell you it is totally doable. You need to remember the city centre itself is quite small! We did the foot path to discover the main area and it was perfect. Starting from Cannaregio area, you can walk all the way until Piazza San Marco, the main highlight of Venice. 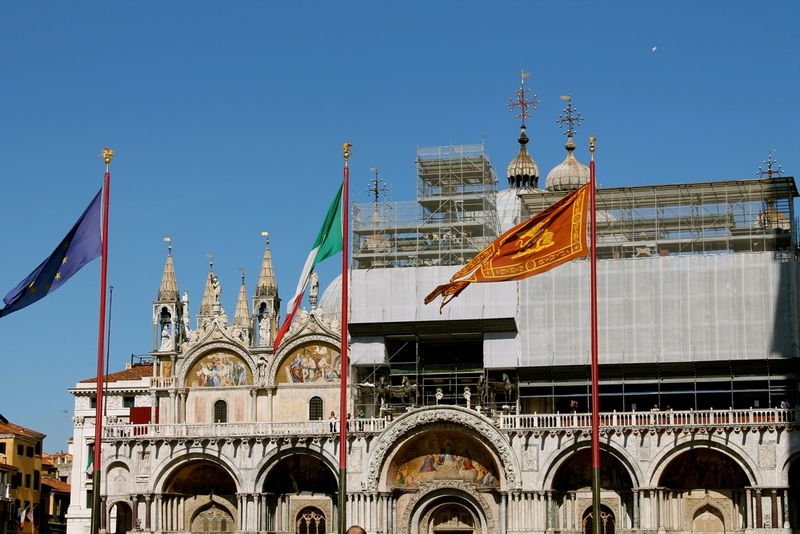 The path includes going through the canal bridges and Venice's labyrinthic streets, passing through Santa Croce, San Polo and Rialto neighborhoods, until you get to the Basilica di San Marco. Piazza San Marco is stunning. There are plenty of posh cafés (with an orchestra playing all sorts of music), and if you are up for an experience and you don't mind splashing the cash I suggest you having a capuccino and some sweets at Café Florian. Now coming back to discovering the Grand Canal. As I said, you could do it by foot or by boat. And as any other tourist, I wouldn't miss the oportunity to jump into a boat or a gondola to see the highlights of the City. If you are on a budget, a good option is to take a Vaporetto (their main public transport, €8/hour) from the train station to Piazza San Marco, and do the foot path from there. 2. Shopping. Of course, I couldn't miss talking about shopping! If you are in need of accessories, you are at the right place. Venice is known by its good fabric (looove their leather bags) and by its glass (make sure you get some murano glass jewellery). 3. Cicchetti and wine. There are plenty of places you could stop to indulge some good food & wine (and Prossecco, of course). In Santa Croce you've got Al Prossecco, one of Lonely Planet's favourites wine bar. Here you'll be able to taste natural-process wines and prosecco for a very decent price. Its location is quite local, which gives the place a nice touch. However, my favourite place was Cantina do Spade in San Polo. We passed through this place several times while walking around the city and every single time it was so busy and lively that we couldn't resist going in. They serve fresh ciccheti (italian tapas) that vary from a wide range of seafood to very yummy veggie fritters. And bare with me, a glass of prosecco is 2€! What else could you ask for. 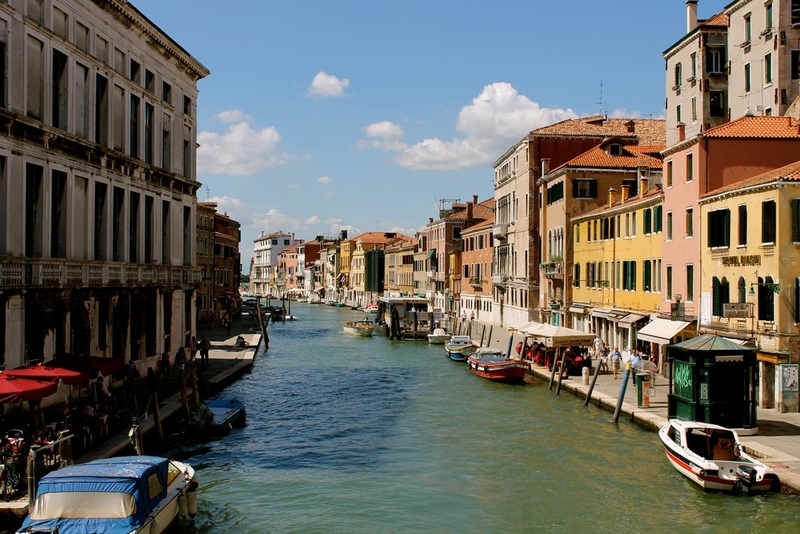 In Rialto you'll find plenty of touristy stalls selling you venetian hats, masks, and murano glass. But you will also find a beautiful local market selling fresh fish and food. Additionally, Rialto is probably the best place to rent a gondola. 4. Take a ride on a Gondola. You need to be aware that the starting fee for a gondola ride is €80, which to me is a complete rip-off. 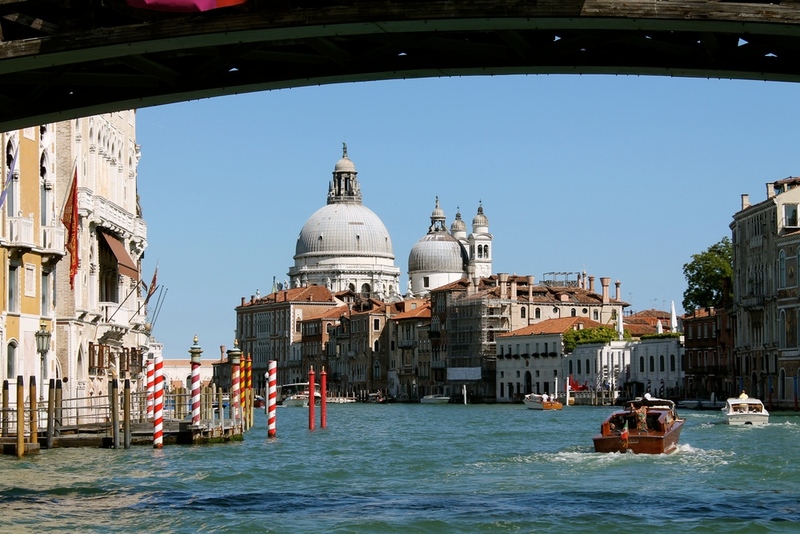 However, if you've travelled all the way to Venice, and you are only there for two days, you will want to do it! Specially if you go there with your partner. So if you are ok spending 80€ for a 30min ride, then just go for it. Another option is to find another couple that is interested in doing it too and share the ride with them (cheeky, cheeky). 5. Gelato. There's no need to say that every trip to Italy needs to include at least one coffee and one gelato per day (or is it just me?). My favourite place in Venice for ice cream was withoug a doubt Suso Gelatoteca. There are plenty of flavours to choose, the portionts are gigantic, they taste wonderfully and the price is very reasonable, so that's a 10 for me! To conclude, we've got: a beautiful scenery, delicious food, lots of romanticism, and a perfect weekend away. Do you need anything else to make up your mind and go?